The Legend of Zelda: The Minish Cap arrives on the Wii U Virtual Console this week in Europe, adding to the small but impressive range of Game Boy Advance titles on the system. Developed largely by Capcom, it stands up alongside its contemporaries as an excellent 2D adventure. With its arrival just a few days away, Nintendo UK has issued a new eShop trailer for us all to enjoy, showing snippets of cutscenes, storyline and action. We say cutscenes, but much of the tale is told through dialogue boxes and the standard 2D view — there's nothing wrong with that, it has its own charm. You can see the trailer below and enjoy Link's somewhat awesome hair animation. Are you planning to pick this up when it arrives this week? Most likely getting it when it comes out. Even though I have the original cartridge, can't miss owning it digitally. If Mario kart wasn't arriving the very next day to put a dent in my bank account, I'd download this in a heartbeat. I guess this game is where Miyamoto got the idea of Pikmin from. Played a bit of this on the ambassadors program and loved it, then got distracted by Metroid Fusion and never went back. Really must make time. @outburst That could have been the case, if it weren't for the fact that Pikmin came out in 2001, whereas Minish Cap released in 2004. Seeing how ugly it looks all stretched out on my 24" monitor, I figure it will look even worse on my 40" TV... I'll probably stick with the 3DS version that I already have. Aww man, watching this trailer is bringing back some serious Elementary School flash backs... I remember when this game came out, I was what, 8? Now I'm 18 and goona graduate in a couple of weeks, I feel sooo old now T_T. Might pick this up after Mariokart. Still no release date for U.S., huh? @Vriess Just play it on the gamepad, and bam! Handheld Minish Cap again. This is a wonderful game, lots of good memories of Christmas 2004! That music is just awesome. I've never really played The Minish Cap but it looks like a really solid game in the Zelda series and probably the best looking 2D Zelda game in terms of art/visuals I'd say. I'd get it if I wasn't an ambassador. Great game for anyone who hasn't played it, yet. I love this game, but I just replayed it recently. I don't remember the colours looking so washed out though. Maybe Nintendo should offer some darker palette options for GBA games. Never played this one so I'll be buying it for sure. Metroid Fusion was much better than I remembered and the Virtual Console experience was an upgrade from the past ones. Very much looking forward to it. I can't wait for this to come to USA. This will be a day one download. It will go good with my Legend of Zelda special edition Gamepad. This game really makes all the other handheld Zelda games look bland. That's why it's the best for me.. Just look at the art and detail of those areas when Link is shrunken. It's pixel greatness. I love this game, but don't think I'll pick it up. I've had it on GBA since it first came out, plus I have a Game Boy Player on my Game Cube, so I can already play it on the TV. @ZeroZX_Dev A couple of weeks??? I thought most schools got out in early May? Anyways, I'm 20 and I know exactly how you feel. It's crazy that I can feel nostalgic every time one of these GBA titles is released. @T7L3R Well, in VirginiaBeach we get out June 13th. I'll be graduating on the 12th. I imagine each school district handles things differently. It feels surreal to call the GBA retro, it feels like yesterday when these games were first released. It becomes weird when you see that publishing date, and realise that these games are old. Best Zelda. Do not hesitate to buy. @ZeroZX_Dev I'm with you on that. It seems like just yesterday I was sitting playing pokemon on my original GBA and I was amazed at how good the graphics were. I'm still a sucker for SNES/GBA style graphics. 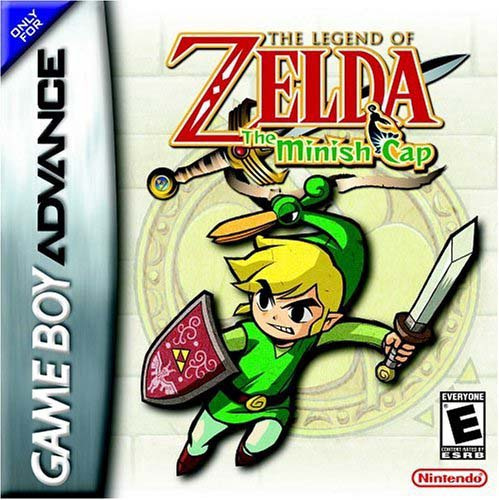 The Minish Cap was one game I never picked up, though I'm thinking of buying it for my (still working) GBA. Still a little sketched about buying digital with it being locked to one console. LOL!!! Got this game ages ago on the 3ds lololololol! Neato. 'Course, my lady just gave me her old copy of the GBA original, so I've no need for this digital rerelease. I just had to watch the trailer. Now I need to go dig out my copy and play through it again! Might as well keep playing it on my 3DSXL. Then I can play it anywhere, for 8 hours on one charge and it doesn't cost me anything more. @Vriess Okay, I was just suggesting that in case you wanted it for collecting reasons perhaps. I'll be getting it and playing on the gamepad because I don't have it on the 3DS. Can't wait. @PS4 Still 10/10 on WiiU because it's freakin' minish cap. @Crimzonlogic na 1/10 because Wii U is not portable, and Nintendo is effectily putting Portalbe VC on it which will make consumers even more confused. @PS4 Meh, I don't care that it isn't portable. I have other games that are portable if I want to take my games places. I never felt that Zelda games were good portable games, anyway. There are too many distractions in public. I like to play those games in a comfy chair where no one can bug me. I do collect the games. I have ALL physical versions This digital version doesn't add much value for me personally because I already have it twice now. 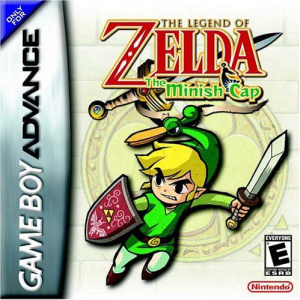 Have fun with Minish Cap because it's a blast!